The Combo Sale feature in CellSmart POS allows you to run your store in an efficient manner by creating shortcuts to the items that sell the most in your store. You can add the items that sell the most separate or in a bundle and sell them through the main dashboard. Click on the Combo sale tab. Click on Combo Sale List to customize combos. Enter the Item code/name of the product you're adding to the combo in the item code field. Click the shopping cart icon to add the product. Repeat steps 5-6 to add more products to the Combo. You can confirm that the combo has been created by going back to the Combo Sale tab and viewing the combo you've just created. Click on the combo you want to sell from the icon menu. Click on the checkout button at the bottom right corner of the Smart Transaction window OR make changes to the invoice if necessary. 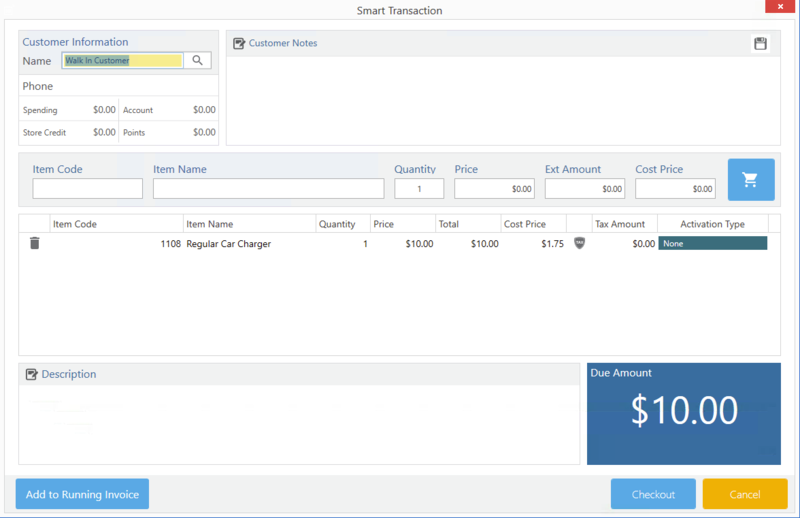 Or, click on the add to running invoice button at the bottom left corner of the Smart Transaction window to sell the combo products with other items in the invoice through the main dashboard. Select the payment method if necessary.